The Grand Army offers a large variety of merchandise, from t-shirts to performance shirts to hoodies and more. All profits from merchandise sales go towards operational and game-day expenses for The Grand Army. We also sell limited edition t-shirts for special events and community fundraising. Check out the links below to view the merchandise or to learn how to become an official member of The Grand Army. The Grand Army partners with Great Lakes Fanwear to offer you a large variety of custom, made-to-order merchandise. 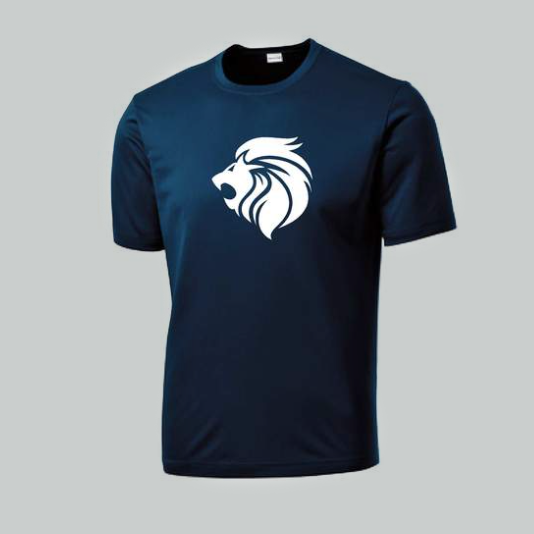 From performance t-shirts to tank tops to hoodies, order exactly what you want in a variety of colors and styles and get it shipped directly to your home, or pick it up at the next pregame. Throughout the season, The Grand Army sells limited edition t-shirts to help support our activities to cheer on the boys and ladies of Grand Rapids FC. We also sell special edition t-shirts to support local community organizations. All proceeds from the fundraising merchandise go directly to these organizations. Support your Grand Army by becoming a member. Participate on the board of directors, receive priority opportunities at away games, and more. Your continued support as a member helps support our activities to cheer on the boys and ladies of Grand Rapids FC.